Now that our Grand Opening is behind us and our Altamonte Megastore is finding its own personality among our stores, it’s time for us to bring back the art! We’re bring the ART back to Adjectives. 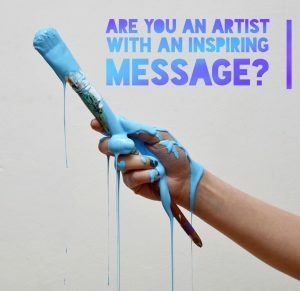 We are searching for local, passionately motivated creatives, to bring their artistic talents to a community of local and international buyers who are inspired by unique art and design. Our stores are built around inspiration, from the ground up, and we want to work with artists who share our dream. Fill out this form below (or email us at art@adjstyle.com) with samples of your pieces and a bit about yourself and the vision behind your work. We’re looking for a wide range of media and subject matter so don’t be shy! Members of our unique stores work with all kinds of mediums in all shapes and sizes. Selected artists will have the opportunity to display their work at Adjectives and we’ll be rotating regularly to keep the inspiration flowing to our local community. We look forward to seeing what Central Florida’s artists can do! Thank you for sending us your inspiring art! We’ll be in touch soon.